Wouldn’t it be amazing if someone compiled a list of the top ecommerce resources and website tools for building an automated, online, outsourced, turbocharged ecommerce business? Below you’ll find a list of all our favorite website tools and ecommerce resources including everything from managing your business operations to setting up website infrastructure to accounting tools to marketing apps to the best SEO resources to sourcing suppliers and so much more. The ecommerce resources listed in this article are ecommerce resources we use and swear by. They’re the top of their class, they excel in their field, and without these ecommerce resources we wouldn’t be able to run our business as efficiently and effectively as we do. You may have seen some of these resources featured in various places around the site because we truly use and recommend them, so whenever we have corresponding blog posts where we’ve discussed a resource in detail, we’ll link to them. These are the top tools we recommend you check out for your own business. No matter where you’re looking to improve your business operations whether you’re in the building, launching or growing phase of your online business, these ecommerce resources will help you do it better. Every business needs a phone line, even an online business. 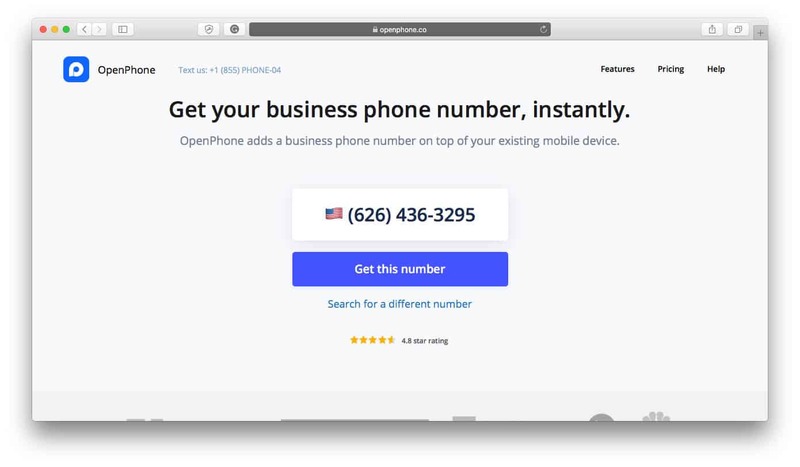 OpenPhone is a small business phone system that provides ecommerce entrepreneurs with the software to manage their own business phone line from their personal mobile device! No need to get a separate phone or pay for an additional landline, OpenPhone has all the features an ecommerce merchant needs to make their business that one step more professional. Another essential part of an office environment is a mailbox! Even when you’re running an online business there are still many occasions where you’ll be required to provide a business address, and to reduce the risk of customers showing up at your home address expecting to see your store there, use a third-party mailbox service. Anytime Mailbox is one of the best services on the market, with 410 locations around the world, they’re widely accessible to merchants everywhere. 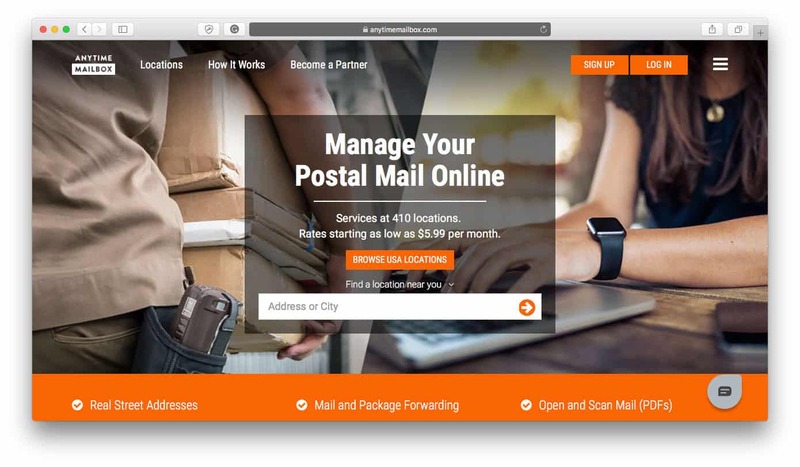 As a virtual mailbox service, you can send your business mail to their real street address and they’ll accept your mail and either forward it to you or open, scan and share a PDF copy of your mail with you so you can view it through your Anytime Mailbox dashboard. It’s one of the most efficient and convenient ways to manage your business mailbox, and it means that your private address stays secure. By using their open and scan service you’ll also reduce the time it takes to have to collect your mail every time you get a letter or a package as Anytime Mailbox can virtually show you what it is and you can decide whether to pick it up or not. For everything from team communication to tracking various metrics for your online business, Slack is a versatile tool for any ecommerce entrepreneur’s toolbox. 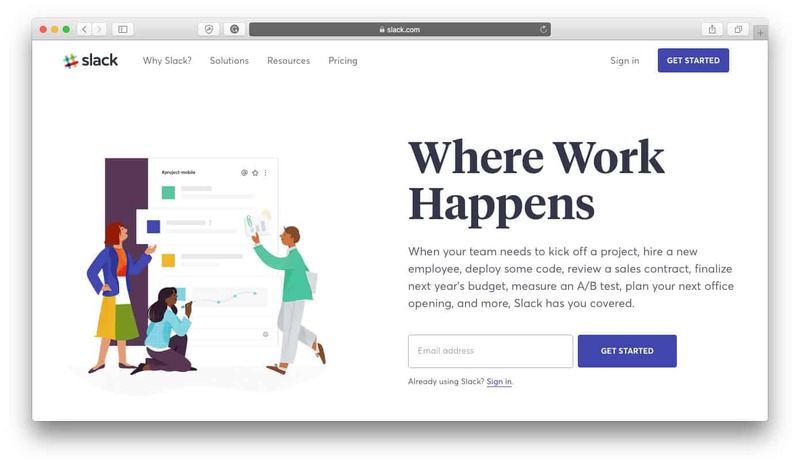 Use Slack to collaborate and communicate with employees or contract workers, join other Slack Channels to branch out your professional connections, share files easily and connect to other resources so you can get real-time play-by-plays about what’s going on in your store and more. Check out our roundup of 7 Ways to Use Slack for Your Online Business to learn more about what Slack is capable of! 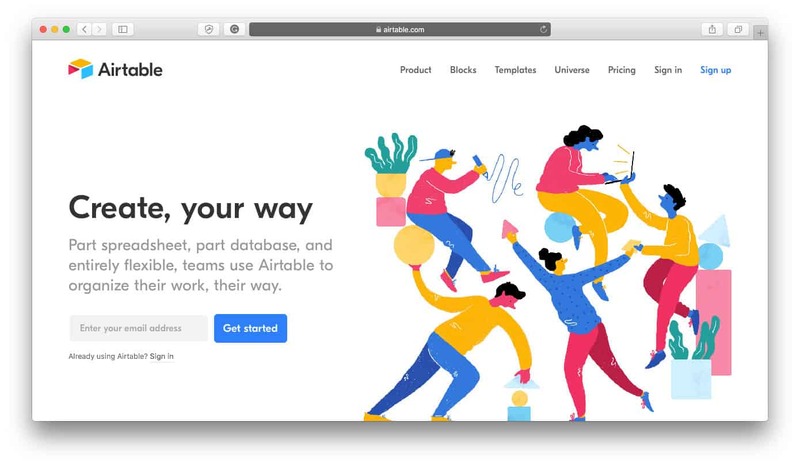 We discussed AirTable in depth in our Content Strategy: The Ultimate Guide to Preparation, Production, Publication and Promotion article but, in short, we love AirTable and we couldn’t work without it. AirTable creates “smart” spreadsheets that are so much more than just a generic spreadsheet. Create completely customizable spreadsheets with features like checkboxes, multiple select options, dates, numbers, links, email addresses, group items by column, link to other spreadsheets within your AirTable base and view all spreadsheets in grid, form, calendar or kanban view. AirTable’s capabilities are endless and their powerful features keep us on top of our game and organized at all times. One of the easiest tools to use for capturing screenshots and screen recordings, CloudApp maximizes team communication. We featured this app in our Top 10 Best Productivity Apps for Entrepreneurs article because it simplifies communication by bringing it down to the visual level which makes it much more effective, especially for teams regularly working with graphics, websites, designs, images or anything visual-based. 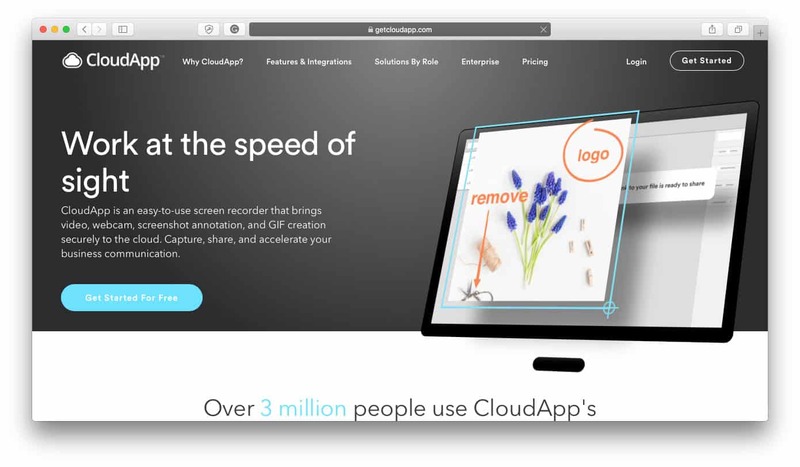 Capture screenshots with CloudApp and make annotations to them or create screen recordings with or without audio included and download and share straight from the cloud. With these features, you’ll save time from having to explain directions over email, and you’ll reduce the risk of any instructions being misunderstood because you can demonstrate them as you explain them. As an ecommerce entrepreneur, using a VPN service to secure your online connection is an essential step you should be taking to protect your online business and sensitive data from outside threats. 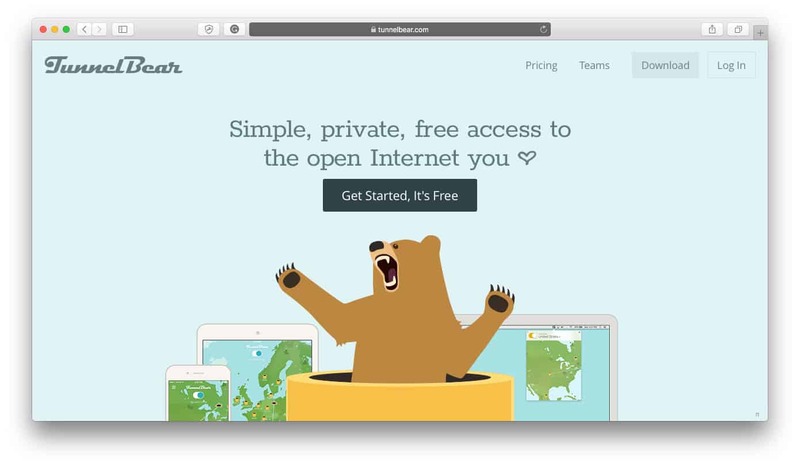 TunnelBear is a simple, private, free access VPN service that any entrepreneur can use to protect their data from prying eyes and it’s quick and easy to get started with. A reliable VPN service that just works is at the top of our list of ecommerce resources every entrepreneur needs to run their business, so check it out if you don’t already have a VPN service you know and trust. Changing your passwords is very important, especially if you’re an ecommerce merchant who has access not only to your own information but to customers’ and employees’ information. With Dashlane, you can keep your passwords safe, secure and in healthy working order to ensure that the risk of being hacked is as low as it possibly can be. 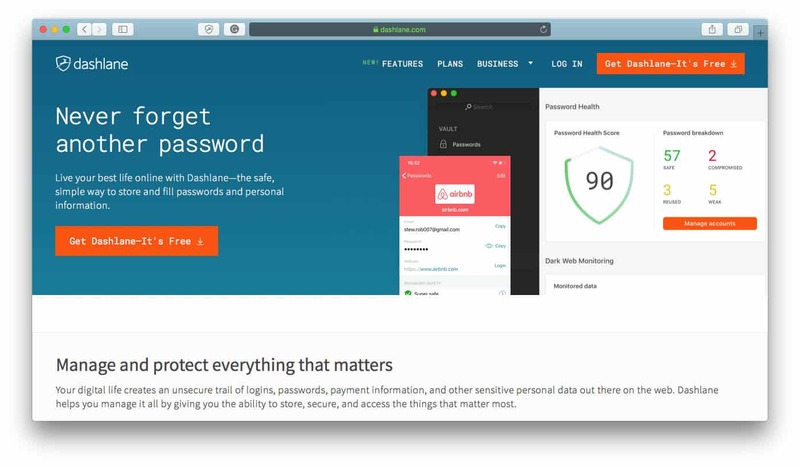 Log into Dashlane with one master password, and Dashlane will remember all the other passwords you use so you don’t constantly have to keep them on your mind. Dashlane also logs in for you automatically when you land on a website you have login information for so logins are quicker and easier. If you’ve never tried a password managing service before, we highly recommend you try out Dashlane. Keep your life organized with Evernote. Create notes, to-do lists, recipe note cards, travel plans, documents and more in one easily accessible place. 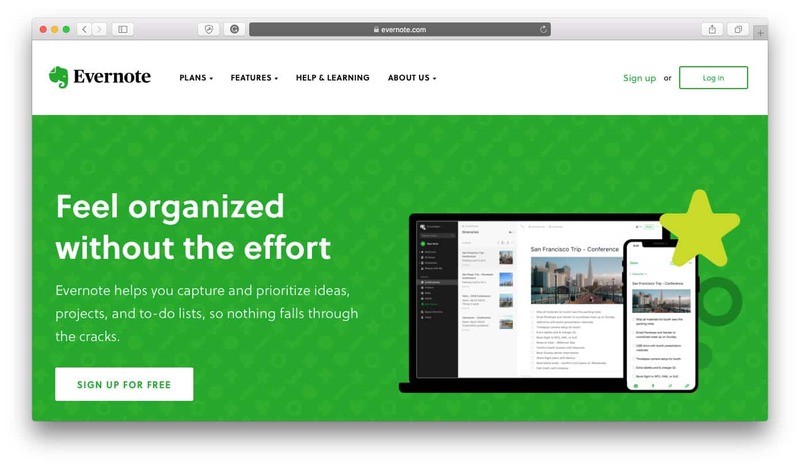 Most people won’t need anything more than their free version offers, so there’s no pressure to invest in Evernote without thoroughly testing it out first. Keep track of every thought, idea, and link you need as you go about your day and don’t forget to use their desktop and mobile apps for even easier access. 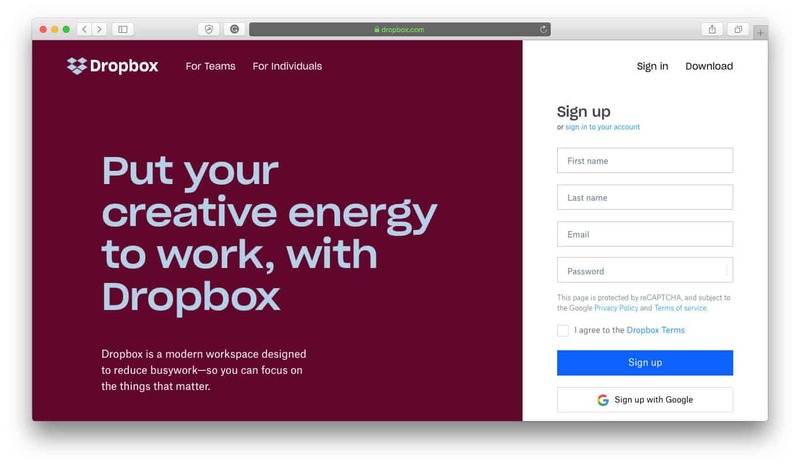 Dropbox needs no introduction as they’re one of the most widely used online storage systems on the market, however, they’re also a great tool for teams to use which makes them one of the fundamental ecommerce resources in an ecommerce entrepreneur’s toolbox. With Dropbox, you and your team can edit shared files without having to email projects back and forth, plus you can easily share digital files with employees or contractors on a case-by-case basis. If you’re an online entrepreneur and Dropbox isn’t already a part of your workflow, check out the features and services they offer so you can start sharing files more easily, quickly and securely. If you’re using a self-hosted platform, you’re the one in charge of whether your site is up and running or not, and UpDown.io is the best tool to use to keep you informed at all times. 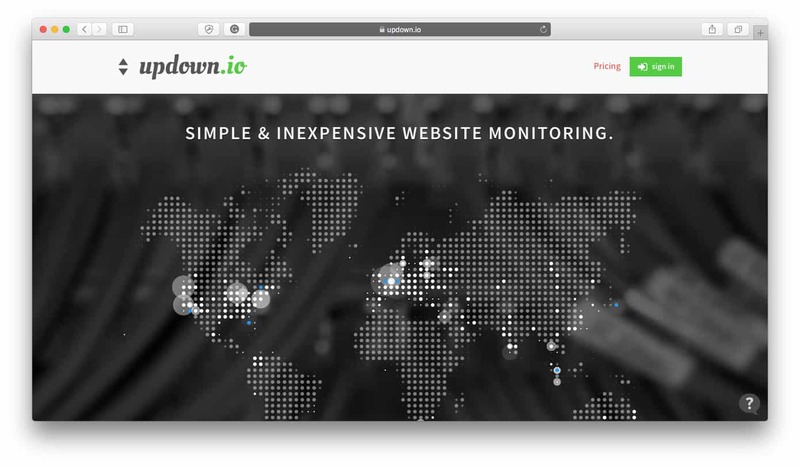 Sites can go down in a second with no warning at all but with UpDown.io you don’t have to constantly worry or check to make sure your site is in good working order, it does it for you! 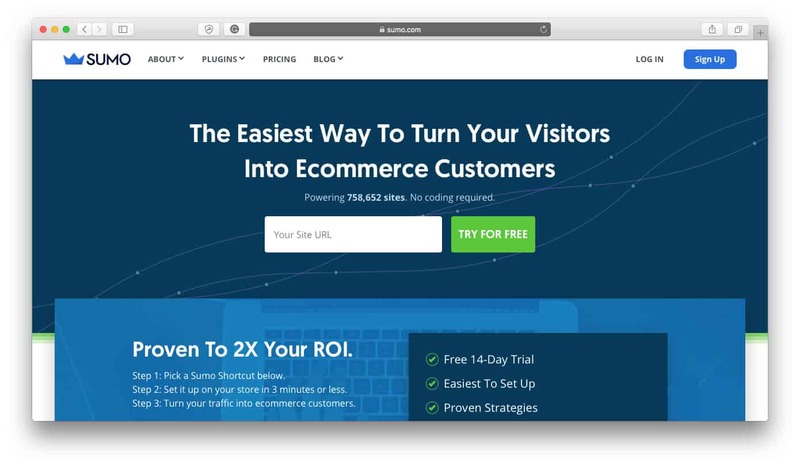 This is one of the most essential ecommerce resources for online entrepreneurs using self-hosted platforms and it’s super easy and inexpensive to use. You can also integrate it with Slack so all your real-time notices get pinged straight through, keeping you in-the-know at all times. Shopify is one of the top recommended hosted ecommerce platforms on the market because it’s easy to use, fast to set up and inexpensive to run. 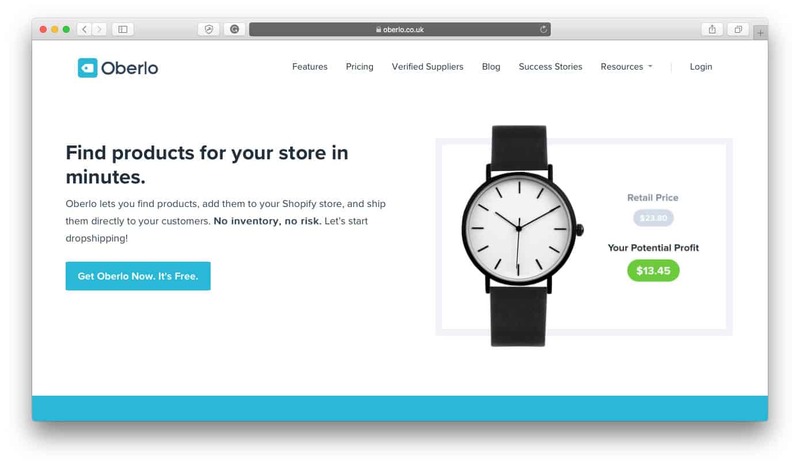 We’ve discussed Shopify’s features in detail in our comprehensive Shopify Review article, so check that out if you’ve never heard about Shopify and want to learn more about what they offer. 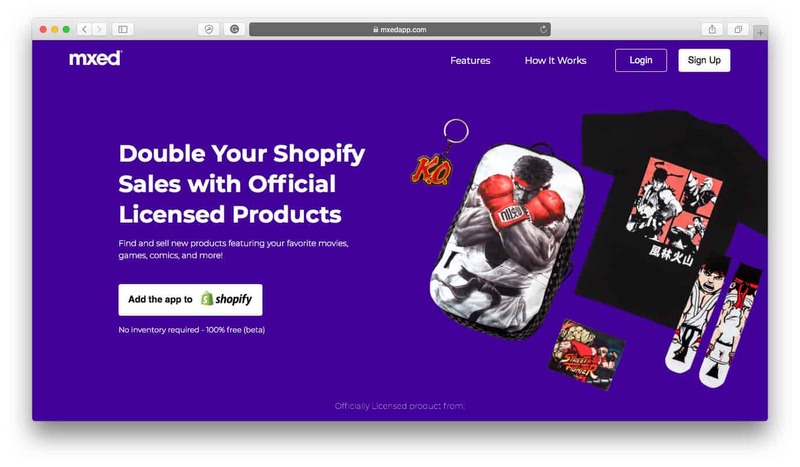 One of Shopify’s greatest attributes is that they’re a practical ecommerce platform for totally new entrepreneurs who are starting up their very first online store as well as seasoned entrepreneurs who are going into their tenth million. Their platform is versatile, powerful, efficient and scalable, which makes them an ideal ecommerce resource for all entrepreneurs at any stage of the game. 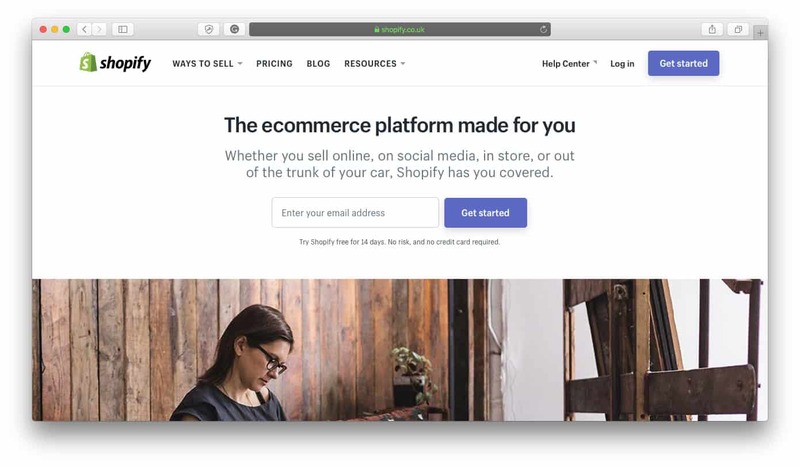 If you’re thinking of starting your first online business, or scaling your current online business to greater heights, then Shopify is likely the right ecommerce platform for you. BigCommerce is another great hosted ecommerce platform option and is especially great for fast growing, high volume businesses. BigCommerce is designed to help online businesses sell more, and they power some of the world’s most successful brands. 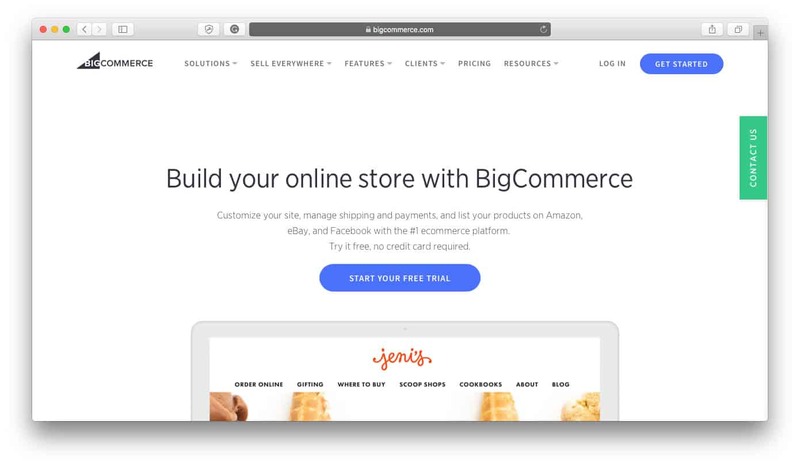 If you’re an enterprise or a brick-and-mortar business looking to move into the digital space, then BigCommerce might be the right ecommerce platform for you. Their platform requires no knowledge of website development and coding to get started which is ideal for merchants who want to get a beautiful and functional online store started up fast. 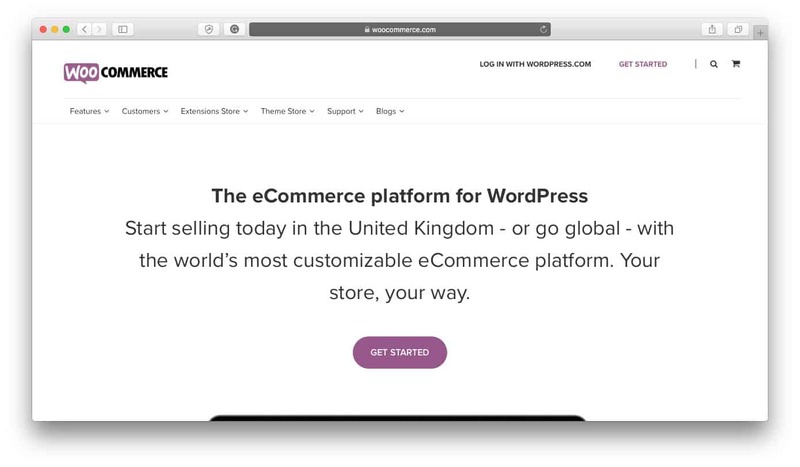 For ecommerce merchants looking for a self-hosted ecommerce platform option, WooCommerce for WordPress is one of the top solutions on the market. Self-hosted platforms give you total control over your website, including everything to do with the look and feel of your site, the user experience and the features and services you offer. WooCommerce can help you bring your self-hosted ecommerce website to life so you can create the ecommerce store you’ve always envisioned. Sell digital products online with Easy Digital Downloads, the software for WordPress. It’s capable of selling any kind of digital product whether it’s ebooks, plugins, PDFs and more and offers a full host of features including discount code creation, file access control, a full shopping cart system and more. 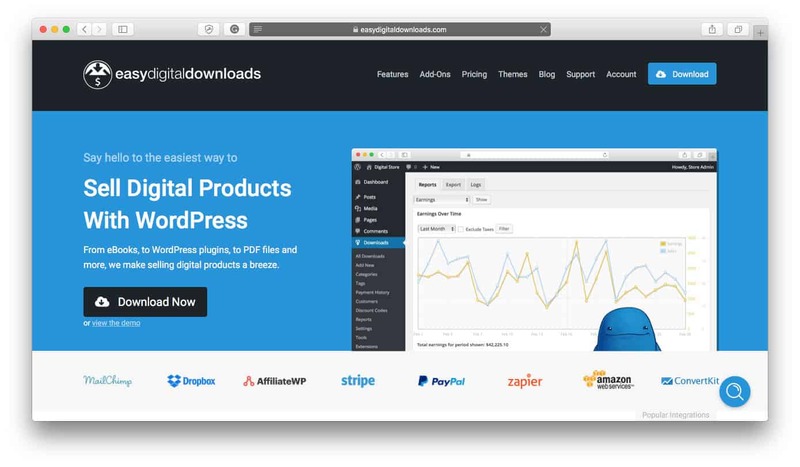 If you’ve been interested in selling digital products on WordPress but just weren’t sure how, Easy Digital Downloads is the solution. 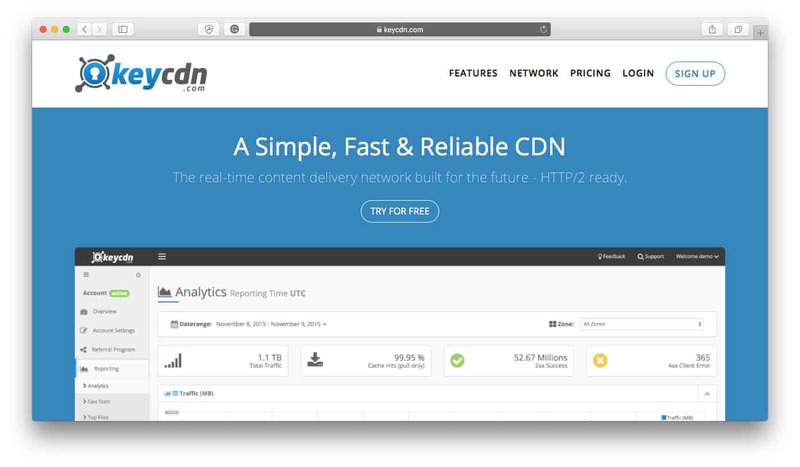 For entrepreneurs using self-hosted options like WordPress or Easy Digital Downloads, the KeyCDN ecommerce resource makes content delivery easy. With 33 data centers around the world, they make your content accessible to your visitors at a faster rate, boosting their user experience and your SEO potential. 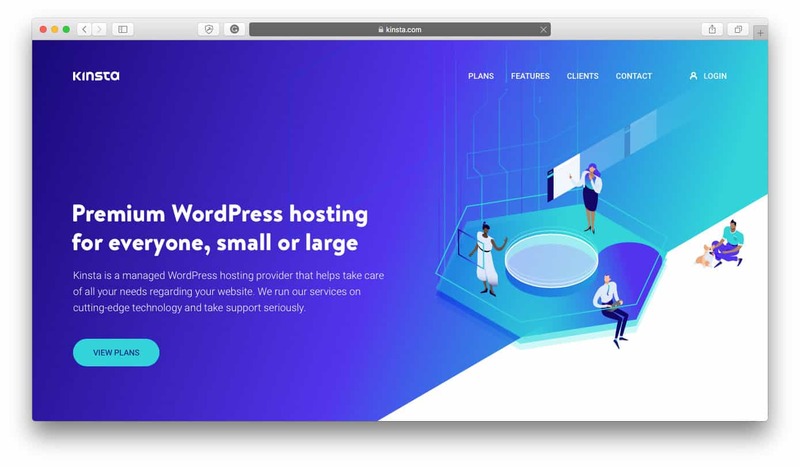 Another ecommerce resource exclusively for entrepreneurs using self-hosted options, Kinsta offers premium WordPress hosting for WordPress websites. Kinsta is a managed WordPress hosting provider so you can be sure that you’re getting the fastest and most reliable hosting solution with top-notch support. When it comes to Kinsta, you pay for what you get and you’re getting one of the top hosting services out there on the market. 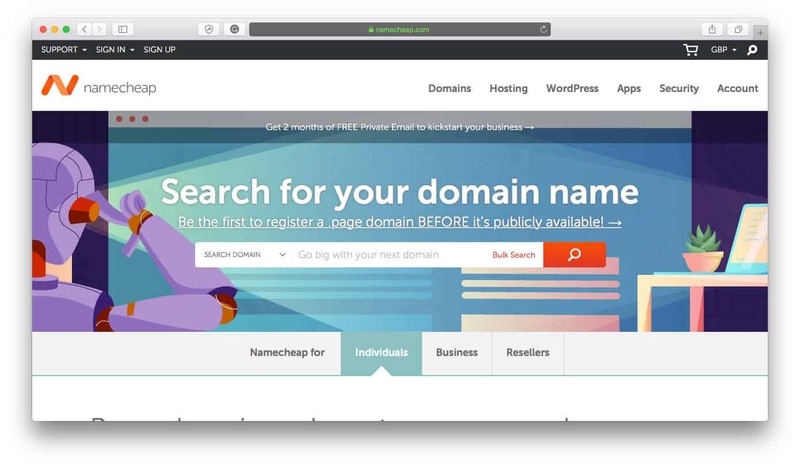 A domain is the foundation of every online store, and Namecheap helps ecommerce entrepreneurs find the perfect domain for their businesses. Whether you’re looking for a domain to set up shop right now, or you’re just browsing for the future, check out Namecheap to find high-quality domains at reasonable prices. They’re well known for their attentive customer service, reliable security and great performance so check out this trusted domain registrar service next time you’re looking for a new domain. Sucuri is one of the top online business security tools, which is an ecommerce resource that should be top on the list for any ecommerce entrepreneur. 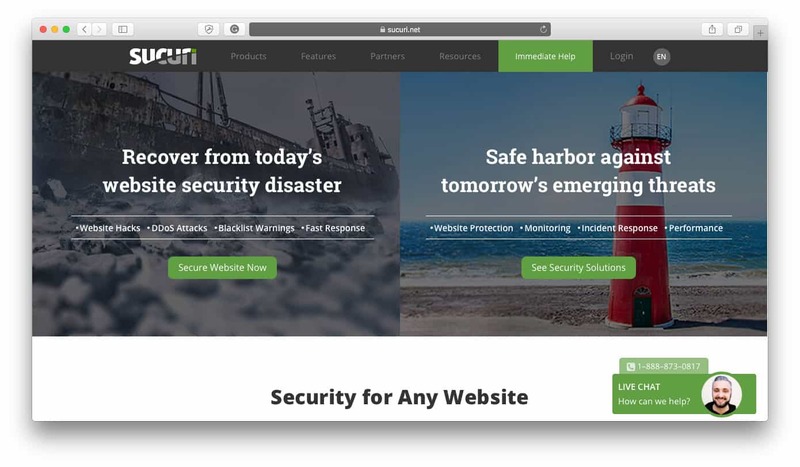 Including complete website security, CDN, DDoS protection and more, Sucuri protects your business so you have peace of mind that your site is safe from potential threats. There’s no complicated setup so you can just set Sucuri and forget it and let it work hard in the background for you, protecting the most important parts of your online. business: Your website content, customers and traffic. 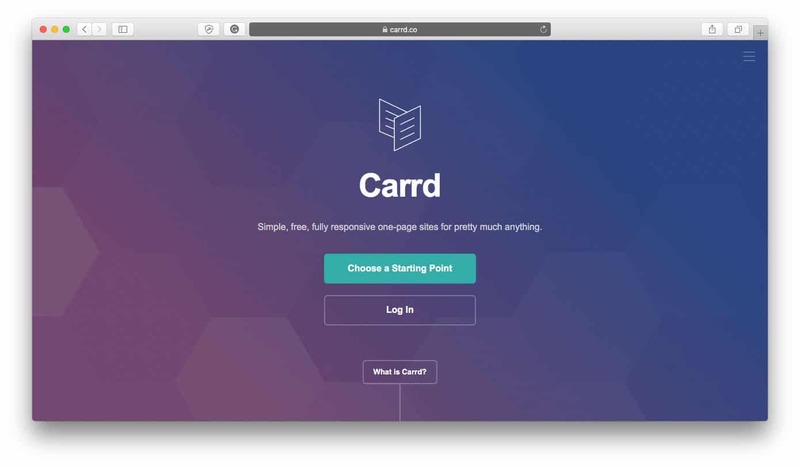 Create simple, fully-responsive, single-page sites for just about anything with Carrd. 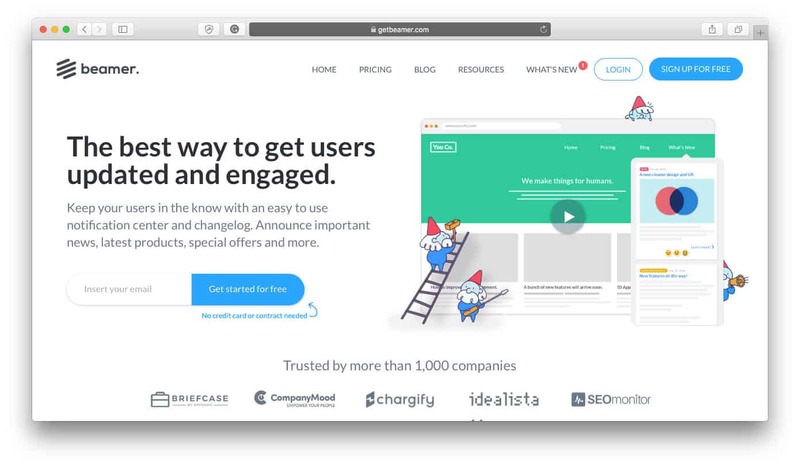 As one of the easiest landing page creation tools that exist on the market, they’re great for new stores, product launches, small websites or online portfolios. We conducted a thorough review of Carrd’s features and services in our Carrd Review: Create Easy and Beautiful Landing Pages article and in it, we discussed every feature they offer to make creating a beautiful landing page exactly as you’ve envisioned it. 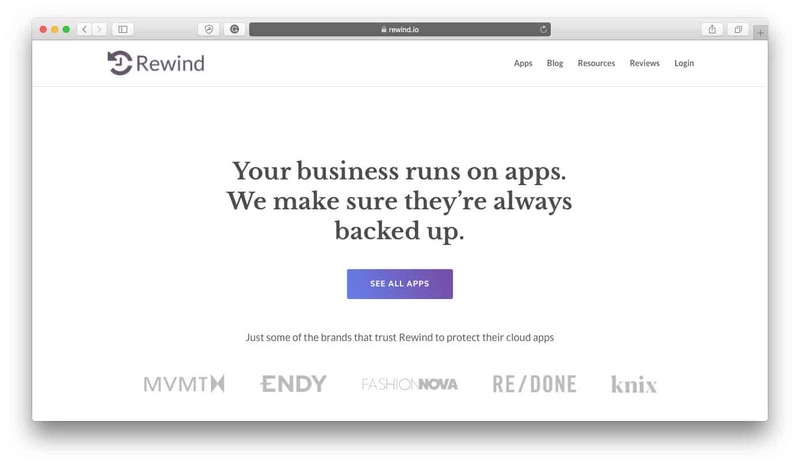 Never risk the chance of your store’s data being lost or deleted with the help of the Rewind Backup app. Rewind secures store data for online businesses of any size so they have the ability to restore their information in case anything ever gets lost or deleted. The Rewind app allows merchants to quite literally rewind their store to points of time in the past in the event that important data was lost at any time, whether it was in the process of updating the site, an accidental change, a malicious hack or a targeted deletion. Protect your digital assets from any and all of these circumstances with the Rewind app. It’s one of those tools you think and hope you’ll never need to use, but when you do suddenly need it you’re so glad you have it. For more information on the features and services they offer ecommerce merchants, check out our Rewind App Review. Keep your bookkeeping on track with Shoeboxed digital organization system. Manage all your business’ receipts and expenses digitally so you don’t have to fumble around with paper management solutions and risk the chance of losing or misplacing non-digital files. 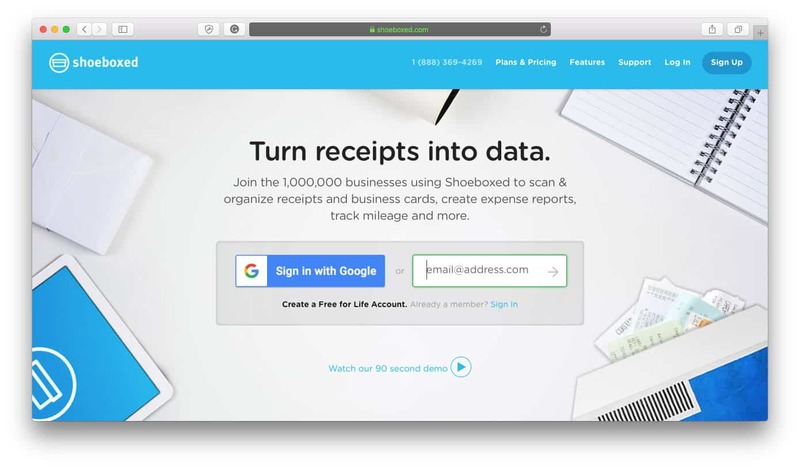 In Shoeboxed, keep track of receipts, expense reports, mileage, business cards and more so not only are you organized but you’re also paperless. Access these files from anywhere and send your receipts and reports from anywhere too, so you can stay organized on the go. They’re one of the most efficient bookkeeping tools out there and they take some stress out of the tax filing process. Quickbooks Online is a full-service business finance operations system that makes managing the finances of an online business easier. 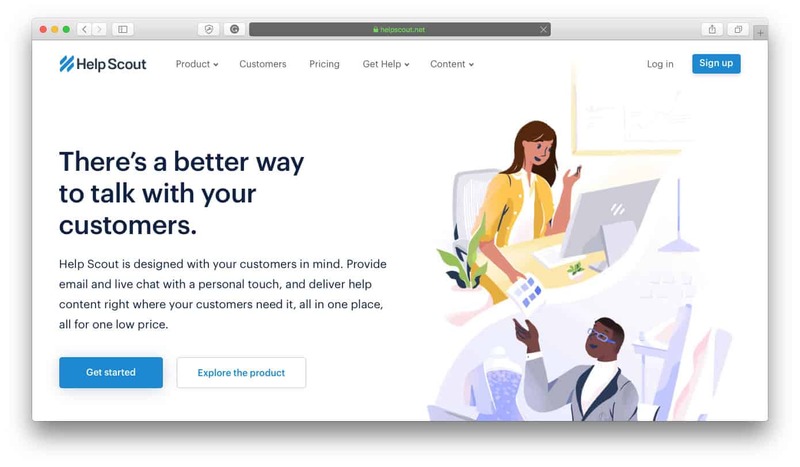 Sync to your bank, track expenses, send professional invoices, pay your employees, connect to PayPal, access your financial reports, pay bills and much more right within the Quickbooks Online dashboard. 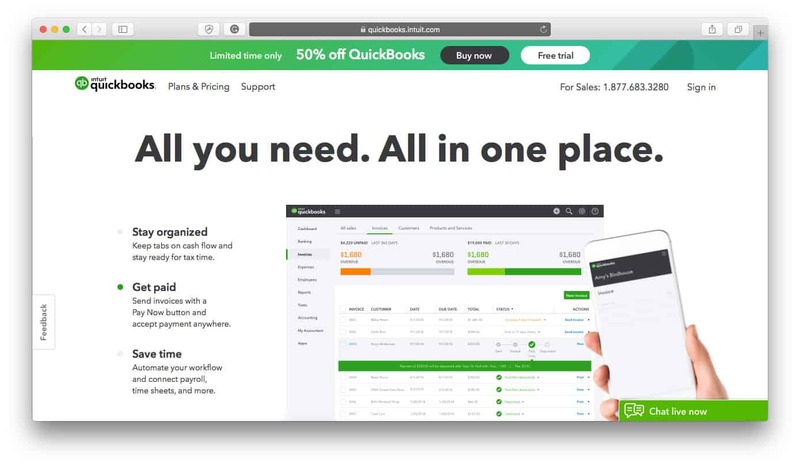 Check out the Quickbooks Shopify App or the BigCommerce Quickbooks App to get started with Quickbooks Online for your ecommerce business. Your own personal online accounting service, Bench helps you collect your financial data and turns it into financial reports. Their accountants handle the data entries and the number crunching so you don’t have to worry about it, they pair you with a real bookkeeper that provides you with tax-ready financial statements and they also schedule one-to-one calls with you so you always have access to the financial health of your business at all times. 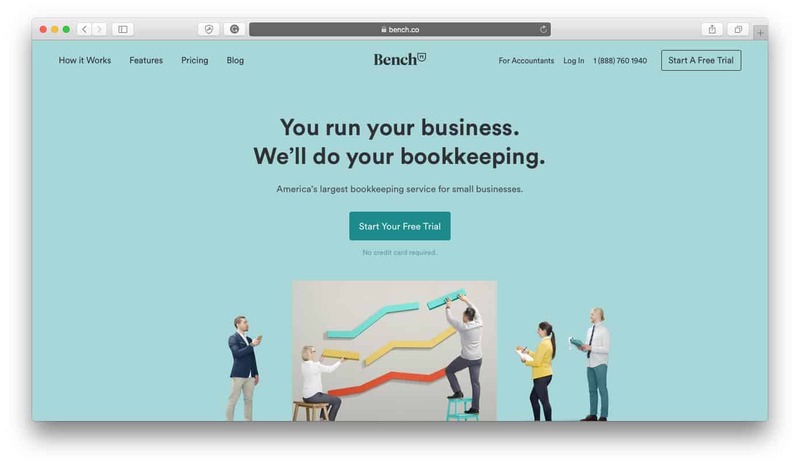 The team at Bench wrote our Small Business Accounting & Bookkeeping Guide, so if you’re interested in learning more about what goes into small business accounting and bookkeeping, check out that article. File your sales tax on time, every time, with TaxJar. They make it easy for businesses to figure out their unique sales tax situation so merchants can spend less time managing their sales tax filing and more time running their business. 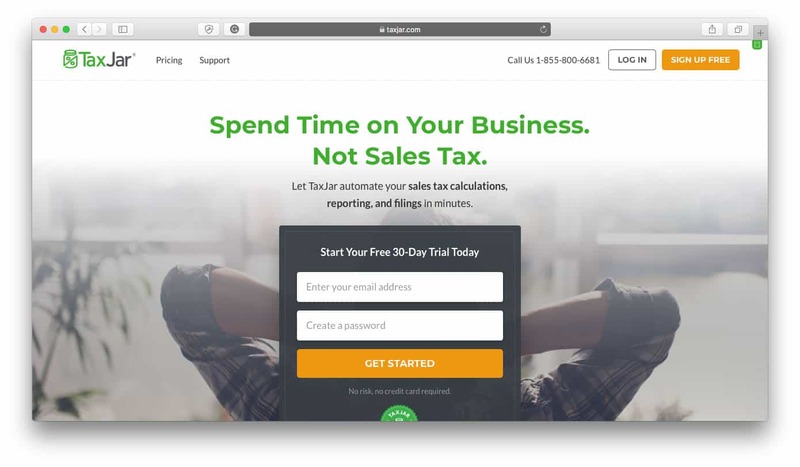 TaxJar can even submit your sales tax filings automatically on behalf of your business which makes it even easier to manage and ensures that every filing makes it on time. If sales tax causes you a lot of time and headaches, you definitely have to try out TaxJar. Check out our full TaxJar Review to learn more about what they offer ecommerce merchants. Create targeted and personalized email experiences for your customers that engages them and inspires them the take action on each email correspondence you send out with Klaviyo. Klaviyo prides themselves on offering an enhanced email experience that helps to build the relationships between brands and customers. They integrate directly with all major shopping cart platforms so merchants can monitor their return on investment, and creating beautiful and responsive emails is a simple process that any entrepreneur can put into action. If you’re looking for a full-service email marketing platform that improves the email experience for both you and your audience, check out Klaviyo. A more entry-level email marketing platform, MailChimp is a favorite amongst many merchants who use it. MailChimp’s features and services help merchants create highly effective email marketing campaigns that grab customers’ attention. Use one of their many pre-designed templates to create your own emails, segment your email list subscribers into categories, deliver emails how and when you want to, track the open and click rates and much more. MailChimp is an easy email marketing platform to get started on, whether you want to create custom emails or automated campaigns, and that’s why they’re one of the favorite email list building tools on the market. After a while, responding to customer support emails from your personal email inbox just won’t cut it anymore: Your inbox gets cluttered, emails get lost, important messages get buried and it becomes and overwhelming task to manage. Save yourself from managing that stressful mess with the HelpScout customer support management service. They’ll be your separate inbox designed specifically for managing customer emails so you can respond to them more easily and efficiently than you could from your own inbox. Plus, they offer cool features like saved replies so you can respond to FAQs instantly, and you can assign emails to other people on your team who are best-suited to respond to them. If you’re afraid of your inbox and dread checking it, you definitely need HelpScout. If you’re looking for a way to keep things neat and organized while you launch and grow your business, then give HelpScout a try! They’re completely free for one inbox, so even bootstrapped businesses on a budget can get started with them. 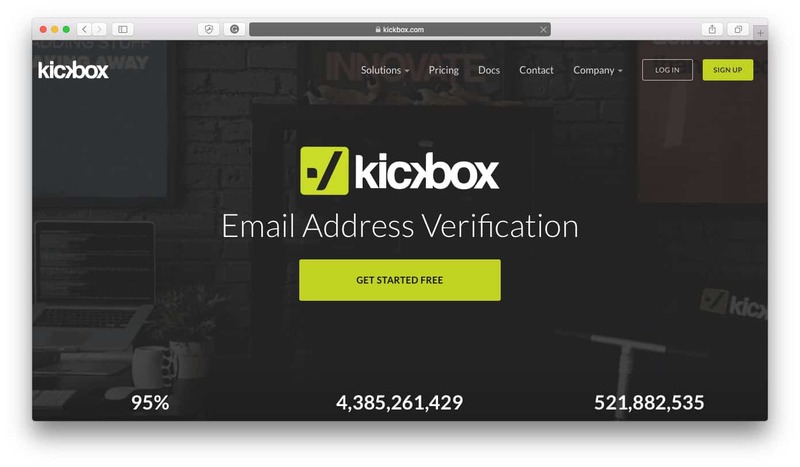 Filter out inactive users from your email list costing you valuable space and important email deliverability rating with Kickbox. Their service ensures that you can weed out the low-quality email addresses from high-value contacts, which can increase your open rate, improve your deliverability and save you money. If you haven’t spent any time editing your email list and removing spam email addresses, you definitely need to check out Kickbox. Email lists are all about quality rather than quantity, and Kickbox’s email address verification service will make sure that your list is as high-quality as possible. Every tool you need to grow your traffic, subscribers and conversions in one efficient app, Sumo is the ultimate marketing software suite. We discussed every marketing tool they offer in detail in our Sumo Review, but let’s just say that there’s a reason why they’re used by brands like Airbnb, Entrepreneur Magazine, The 4 Hour Work Week and Tony Robbins: Sumo’s tools work and they’re highly effective. 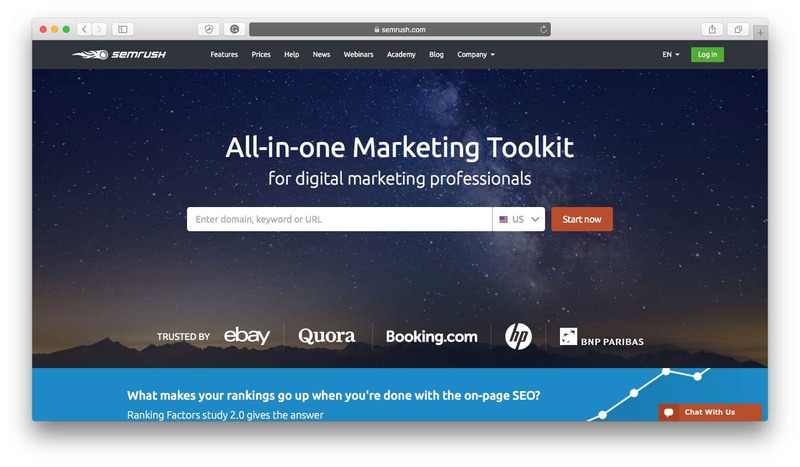 They offer so many different kinds of marketing tools, each of which are designed specifically to help you grow, so you can test out new tools and try new tactics all within the same Sumo subscription. The best part is that they’re insanely easy to implement onto your store and you can customize each tool to match your store’s branding. Shopping cart abandonment is one of the greatest sources of lost revenue for ecommerce businesses, however, they’re also one of the best marketing opportunities. 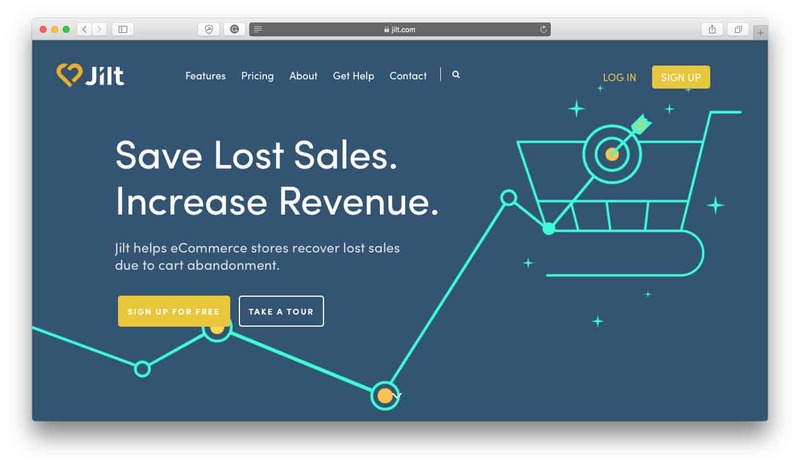 Jilt is an abandoned cart recovery service that helps businesses create automated cart recovery email campaigns so they can reach out to customers more efficiently. These campaigns remind customers of their shopping cart and make it easy for them to resume the checkout process. Jilt makes the process so easy and seamless so businesses can just set it and forget it. The campaigns are also customizable so businesses can put their own branding and copy on the email campaigns so they match their branding and maintain complete authenticity. Learn all about what features and services Jilt offers their clients in our Jilt Review. Many social media scheduling services only let merchants schedule their posts for the near future, however, MissingLettr helps merchants create year-long social media marketing campaigns so their content is being shared not only in the short term but in the long term as well. Not only that, but MissingLettr also helps automate the process by creating a posting calendar for the year, creating customized copy for each post, and pulling images from the content to use in the social campaign. It’s a full-service social media marketing tool and it’s a useful ecommerce resource for merchants looking to save time setting up campaigns while also getting the most out of their efforts. 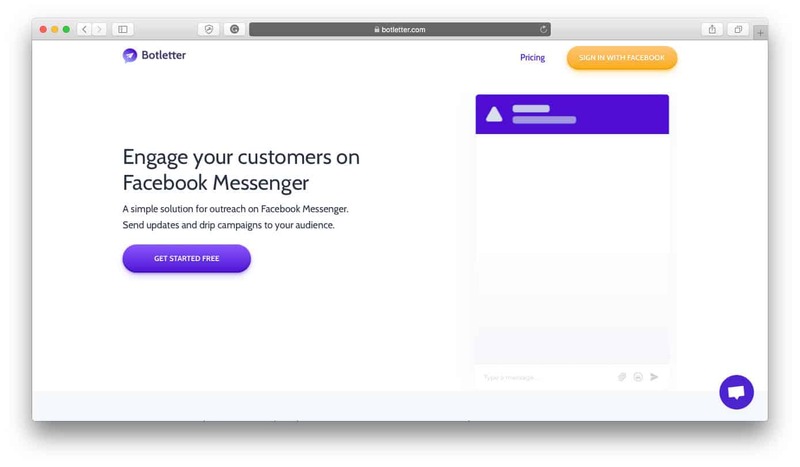 Facebook Messenger Marketing is one of the most lucrative marketing mediums at the moment, which we discuss in our Facebook Messenger Marketing: Write Better Facebook Messenger Messages article, and so Botletter has become a tool every ecommerce entrepreneur needs in their toolbox. Botletter essentially helps you create a Facebook Messenger chatbot that you can use to send newsletters and drip campaigns through Facebook Messenger. 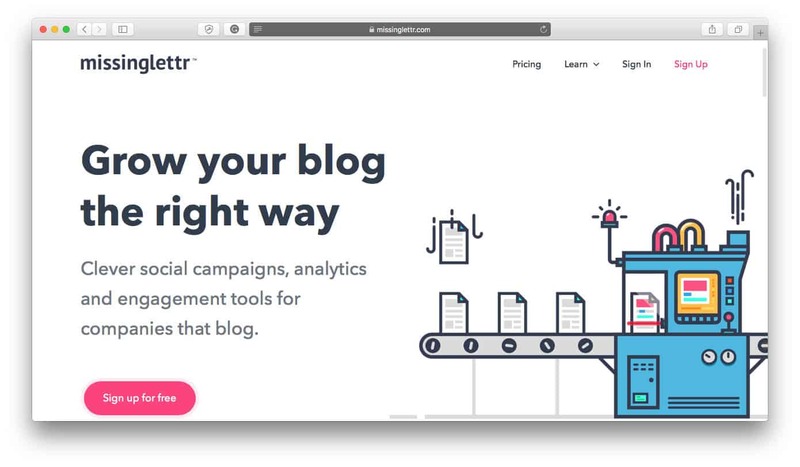 This is one of the most up-and-coming marketing methods at the moment that has great open rates and engagement than email lists do so, if you need a refresh in your marketing strategy, try Botletter. Get more conversions by showing off customer interactions on your site with FOMO. 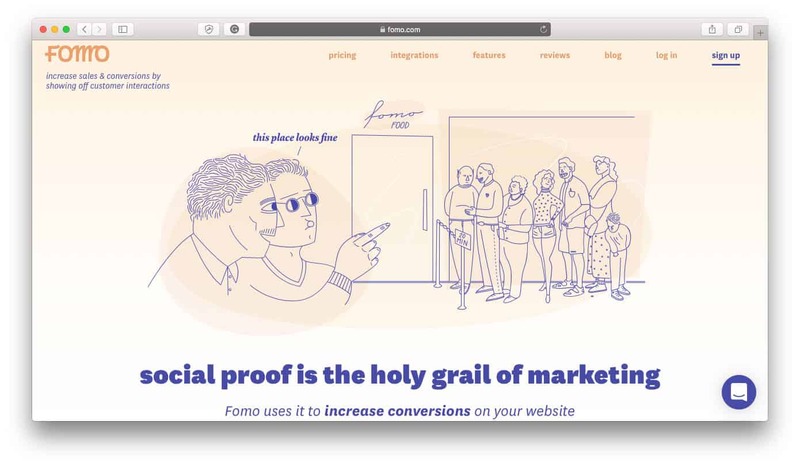 FOMO is a social proof marketing tool that relies on the “Fear of Missing Out” psychology to prompt visitors to make a purchase when they see other shoppers making a purchase. FOMO helps online stores create a “busy store” effect by showing a small popup on the corner of the screen whenever someone makes a purchase on your site. This helps to instill trust in your store to your visitors and shows that other customers are purchasing from you, which can be all the encouragement they need to make a purchase of their own. Create an on-site newsfeed on your website to share important news, announcements, updates, launches and offers with your audience via Beamer. It’s a convenient way to keep users engaged on your site and it can help improve your SEO performance and user experience on your site. Any merchant can install it on their site with no coding or programming required, and updating your Beamer newsfeed couldn’t be easier, either. Add videos, photos, GIFs, copy, links and calls-to-action to each Beamer post, to illustrate and explain each new message to your audience. Best of all, the Beamer newsfeed shows on every page of your website meaning that all visitors can see and interact with your Beamer posts no matter which page they land on when visiting your site. This is great news for merchants who usually just place important information on their homepage as not all visitors make it to the homepage! Check out everything Beamer has to offer merchants in our in-depth Beamer Review. Get to know your visitors in real time with Bento, the ecommerce resource for technical marketers. Collect “people analytics” by tracking your visitors’ behavior, profiling them in real-time, running surveys to gather data, A/B testing your ideas and more. 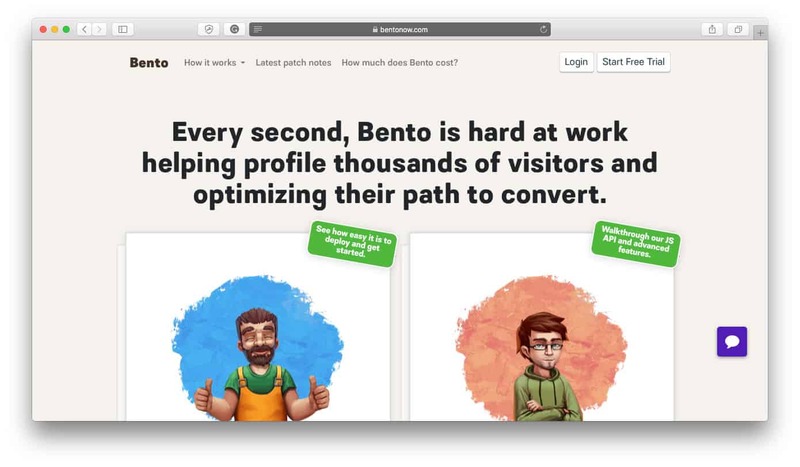 Bento is the all-inclusive ecommerce tool for marketers looking for in-depth information on their audience by helping them hone in on their brand personas and diving deep into the path they took to become a customer. The ultimate keyword research tool, KWFinder is a fundamental ecommerce resource that every ecommerce merchant needs to be using. Not only is it super powerful, but it’s also easy to use and it’s the best starting point to uncover golden keyword opportunities. Keywords are every online business’ bread and butter because they’re what gets pages ranking in search engines, and finding the best keywords that are the right balance of rank difficulty and search volume is essential. 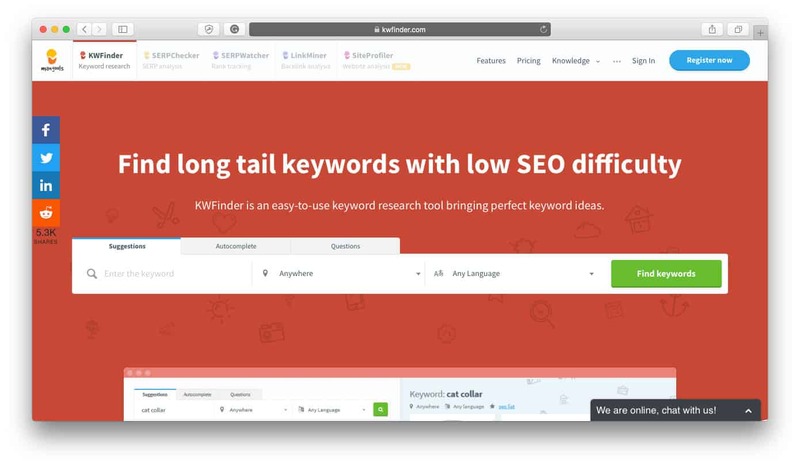 Find keywords you can start targeting with KWFinder’s powerful keyword research tool. A lot of information goes into their ranking algorithm, which you can learn more about in our KWFinder Review, so you can be sure that you’re getting the best possible information to base your keyword targeting decisions off of. 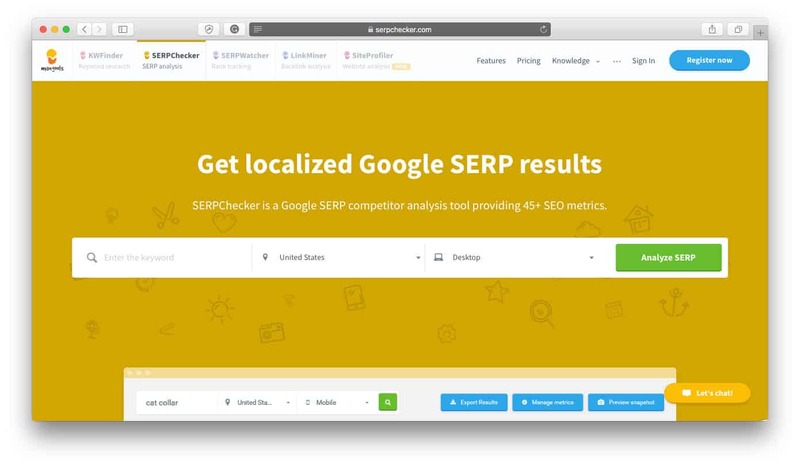 Perform a deep-dive analysis on your competitors with SERPChecker. Use this tool to compare your website to competitors’ and evaluate the impact of SERP features on organic search results. It can even detect the Google search features your competitors have earned such as featured snippets, answer boxes or carousels so you can quickly see where their strengths lie. With SERPChecker you can find your competitors’ strengths and weaknesses so you can prepare your website or content accordingly. Use SERPChecker to find any potential areas where you can achieve better results than your competitors are able to earn. Track your keywords’ search engine ranking positions as they fluctuate throughout the search results so you can monitor their performance and the traffic you receive from them. SERPWatcher makes this easy to do through their keyword monitoring software and they keep you notified of your keywords’ positions so you always know how your keywords are performing. It’s one of the most effective tools to use to understand when your keyword ranking strategies are actually working or not, and it’s one of the most efficient ways to stay on top of your ranking performance as it fluctuates with each keyword’s success. 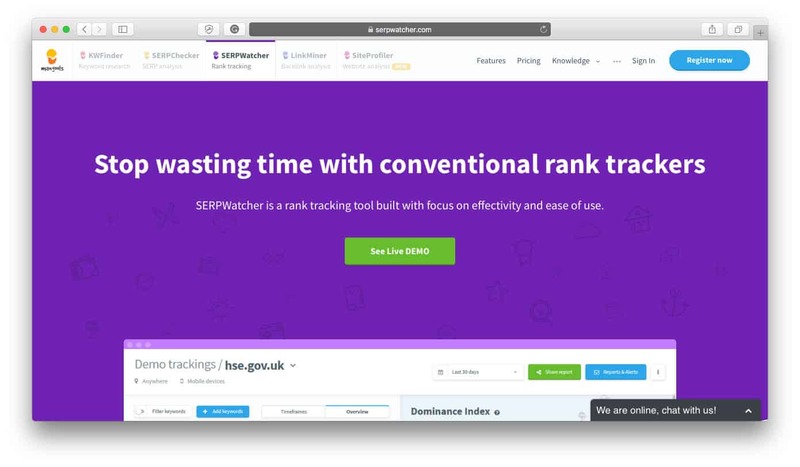 We’ve discussed all of the data SERPWatcher tracks and how to use it in our SERPWatcher Review, so if you’re interested in boosting your search engine ranking positions, check out this article. Find backlinks for your keywords to help you rank in search engines with LinkMiner. Backlinks are a powerful way to boost the SEO of your website, blog or store but finding the right backlinks can be a challenge. With LinkMiner you get a behind-the-scenes look at the best links you can target for each of your web pages, blog posts or product pages so you can get better SEO results, faster, and with less work. Get the important SEO metrics and insights on any website with SiteProfiler. It’s one of the fastest ways to do SEO research and to conduct competitive analysis because it compiles everything you need to know under one roof. Check the authority and trustworthiness of any site, estimate their website traffic and sources, identify which of their content is generating traffic, check their backlink profile, and benchmark your own website against others in the market. 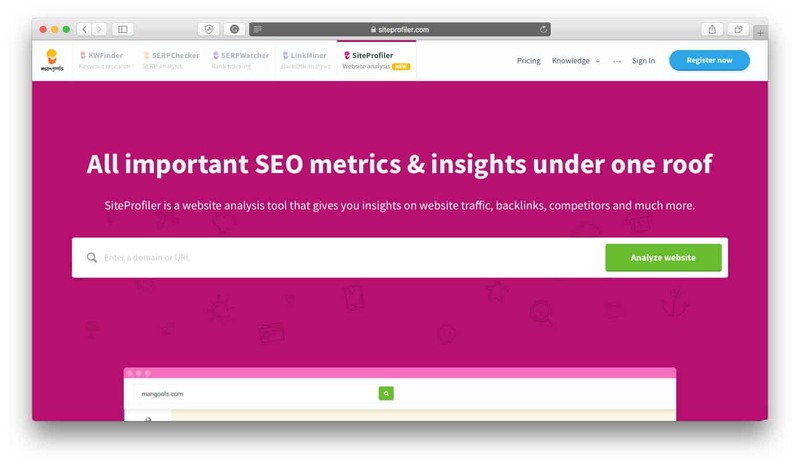 SiteProfiler is one of the fastest and most reliable ways you can gather all these metrics in one place, so for comprehensive SEO research and competitor analysis, it’s a one-stop-shop ecommerce resource. SEMrush is one of the best SEO tools we’ve ever used and it’s a fundamental part of our SEO strategy. With SEMrush we’re able to research competitors’ keywords so we get insight into which keywords they’re targeting and how well they’re ranking for them. It’s the ultimate tool to spy on your competitors with, and it’s an ecommerce resource we can’t work without. It helps us find competitive keywords and understand what we need to do to be able to rank for them. Check out our SEMrush Review to learn all about how we used to increase our organic search traffic by over 500%! 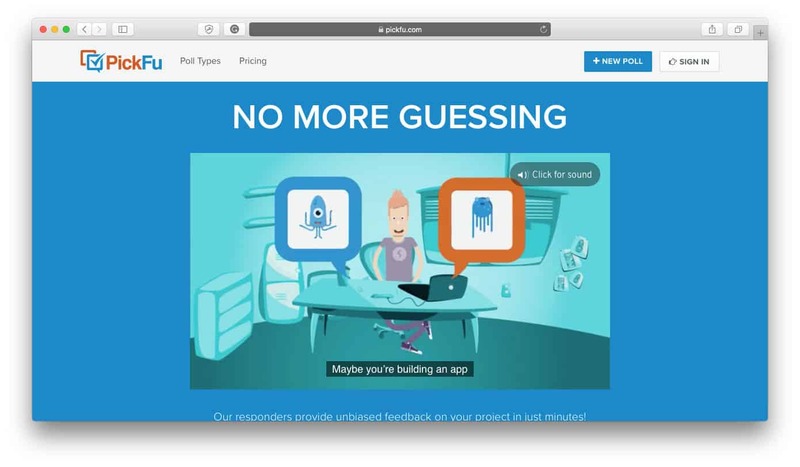 Typeform is one of the best audience survey tools on the market. Create in-depth, engaging and useful surveys that your audience will love responding to and you’ll get valuable insights from. 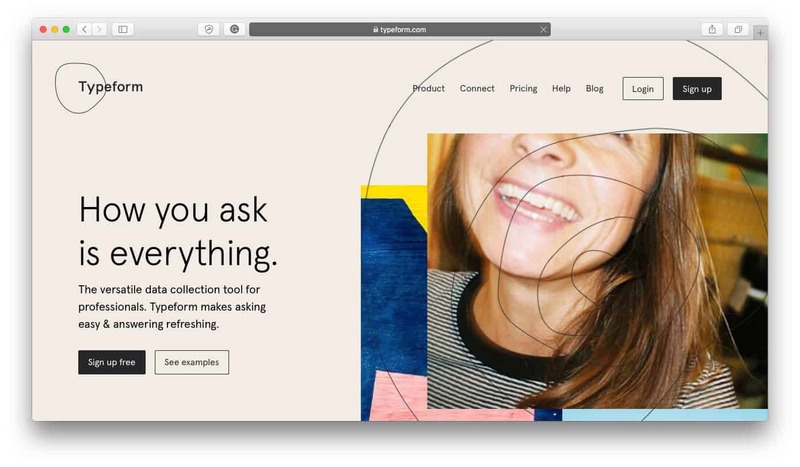 It’s one of the easiest survey ecommerce resources to use — simply drag and drop question types into your template and edit the copy as needed. Create surveys of any length asking long form, short form, multiple choice, true or false, multiple select questions and more, and use the analytics to make important decisions for your online business. 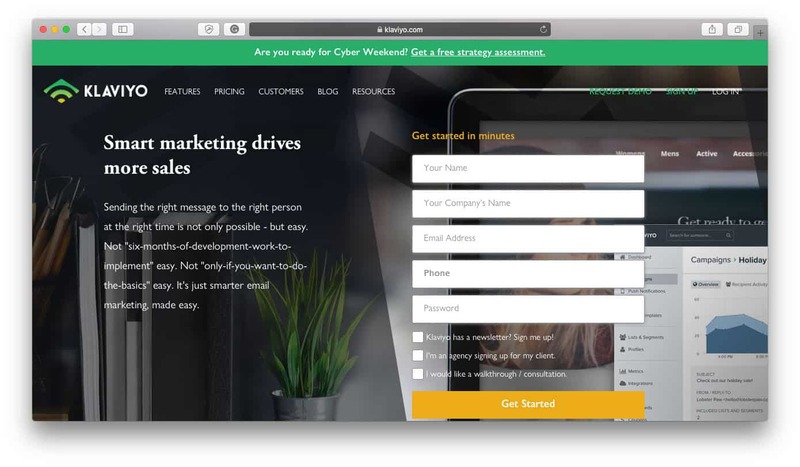 Test ideas for your online business with the PickFu audience polls that provide data and feedback to validate your business ideas, names, taglines, logos, marketing and more! No matter what you need help deciding on, PickFu’s polls can generate valuable feedback that you may never have thought to consider. It’s one of the fastest and smartest ways to test new ideas and get a general insight into market response before you go ahead spending time and money building something that might not be worthwhile to invest in. 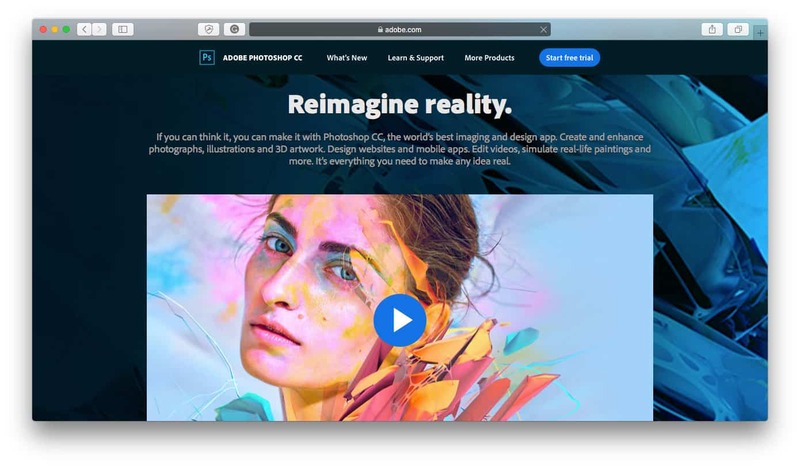 An essential ecommerce resource in any entrepreneur’s toolbox, Adobe Photoshop is the ultimate design tool any ecommerce entrepreneur can use to create graphics, designs and digital assets for their online store. If you’ve never used Photoshop before there can certainly be a learning curve, however, it’s worth learning how to use it because it can save you valuable time and money by being able to create your own digital assets rather than relying on designers or freelancers to make them for you. For top-notch digital assets that will help enhance your brand’s visual presentation, look to none other than Creative Market. They specialize in providing graphic design content including everything from stock photos to graphic design elements, logo templates, social media bundles and so much more so businesses and brands can create professional-quality design assets without the price tag. 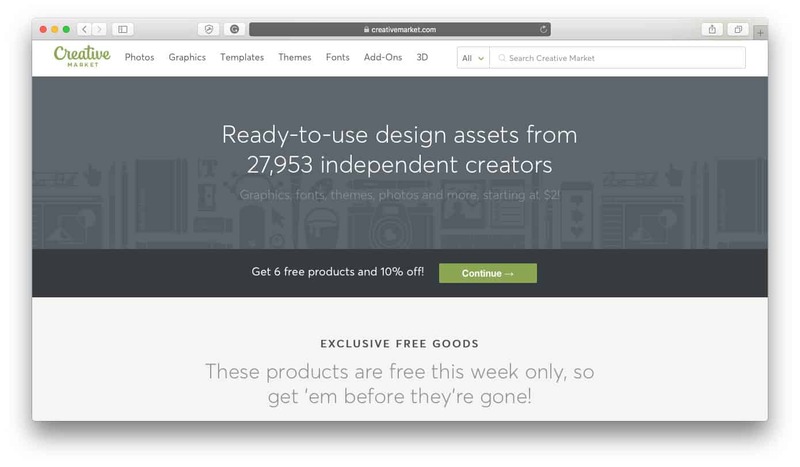 Most of their content must be purchased, however, some of it is free but above all else, it’s affordable and likely more accessible than a professional designer is to most startups. 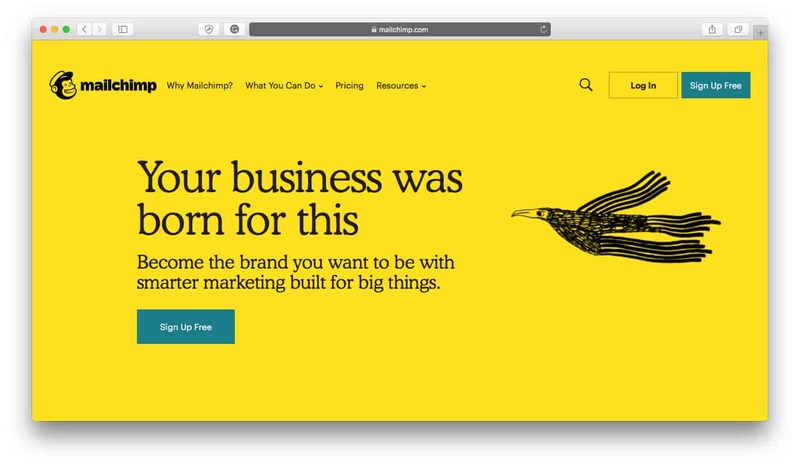 Almost everything they offer can be customized to fit your own branding so you can edit templates to match your website and social media whenever you use assets from Creative Market. Check out our Creative Market Review to learn more about what services they offer entrepreneurs, and check out our 25 Gorgeous Instagram Templates for Your Online Business roundup as well as The Top 10 Facebook Post Templates for Ecommerce Businesses, which have all been sourced from Creative Market. 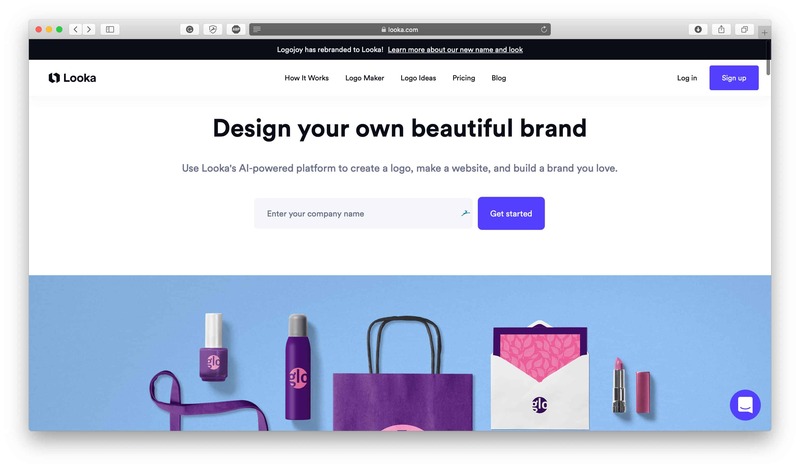 Creating a logo for your online business or brand just got easier with Looka. Their intelligent AI-powered online logo generator is one of the best on the market and its sophisticated technology helps you create a beautiful logo for your online business. It’s an important ecommerce resource for every ecommerce entrepreneur’s toolbox because logos are the face of every brand but they can also be an expensive asset to get created by a professional designer. Skip the design process but still get a beautiful logo your proud of with a fully-professional logo design package from Looka. Their online logo generator is free and easy to use, so check it out to start designing a logo instantly. For more information on what their logo design service includes, check out our Looka Review. As we’ve discussed in our Optimizing Images for Web: A Practical Guide article, compressing the file size of images on your website is integral to its performance. Image file sizes directly impact the time it takes to load your web pages, which impacts user experience on your website and your SEO performance. 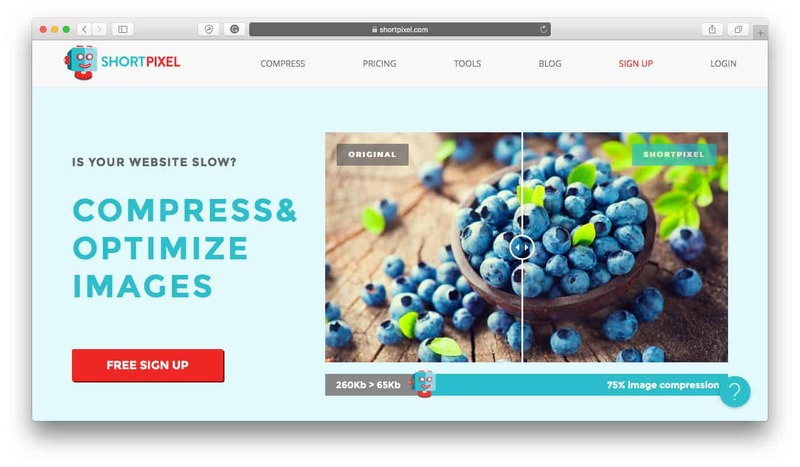 Faster page loading means more traffic, and reducing your image file sizes is one of the best steps you can take to get there. To do this, we use two main services: ImageOptim and ShortPixel. They’re free tools to use and they’re absolutely essential ecommerce resources for every ecommerce merchant’s toolbox. Check out the above guide to learn more about why optimizing images is so important and how to get started reducing your image file sizes. Storetasker is a low-risk option for any small changes you might need made on your Shopify store. 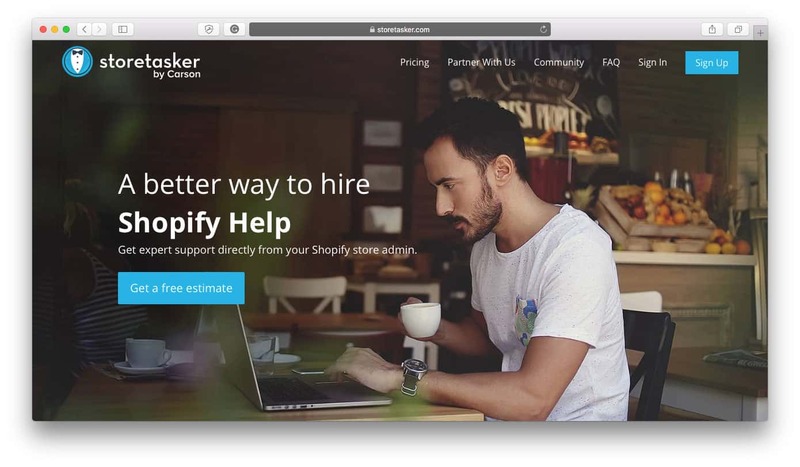 Whether you need help with your store set up, some tweaks made to your Shopify theme, any app recommendations for your specific needs, hero or product images formatted correctly, clickable call-to-action buttons integrated or any other small tasks, Storetasker employs Shopify help experts who can find a solution. The best part about using Storetasker’s service is that you don’t have to worry about vetting freelancers, haggling a price and hoping the task gets done the way you want it to because they’ve already vetted experts who only accept projects they know they can do and these experts offer predictable work rates and they get their work done on time. If, however, things don’t work out the way you want them to, Storetasker also offers a money back guarantee policy. If small tasks are the kind of Shopify help you’re looking for, look no further than to Carson. 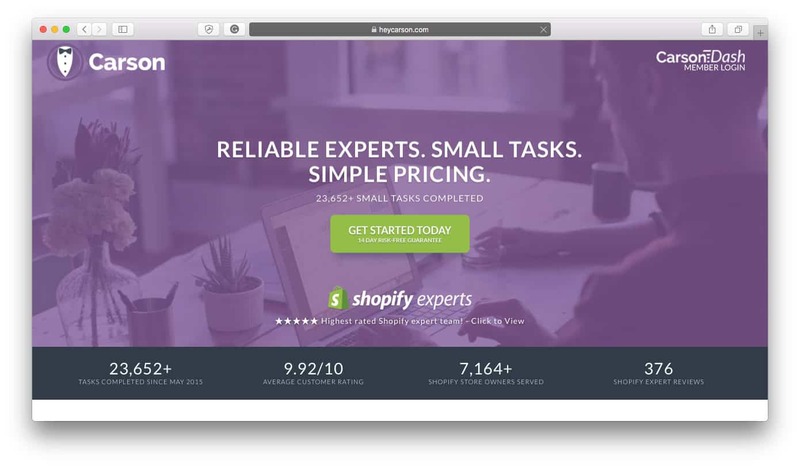 They’re Shopify experts that specialize in completing small tasks at affordable prices and they’re ideal for merchants that just needs a quick fix, update, edit or modification to get them on their way again. With Carson all you have to do is submit your task to the team, wait for it to get delivered by a developer and then you’ll be able to review and accept it before it goes live on your site. They specialize in quick jobs that are fast to execute and to-the-point, so if that’s what you’re looking for they’re likely a good match for you. Check out their Small Task Menu to see what kind of tasks qualify as “small” but to get an idea, some of them include size chart popups, changing images on mouse hover, testimonial carousels and more. Purchase tasks from Carson individually or in bundles, or subscribe to their service for a monthly flat rate fee and receive an unlimited number of tasks. For small-scale quick fixes without compromising quality, Carson is a great service to check out. Curate your perfect product selection — no matter how niche — with Modalyst. Modalyst curates dropshipping suppliers with the best products so merchants can stock them on their own stores. It’s easy to use, simply search through their database of products and add them to your store with a few clicks It integrates directly with ecommerce platforms like Shopify and BigCommerce, so there’s no need to waste time uploading product photos or descriptions, it’s all ready for you. Since this is a curated service, you’ll save valuable time not having to sift through all the junk to get to the good stuff; Modalyst does the hard work so merchants don’t have to. They even negotiate a universal return policy for all dropshipping suppliers so it’s convenient for merchants and customers alike. If you’re looking for high-quality dropshipping products you don’t have to spend hours to find and upload to your store, then Modalyst is an ideal option. Check out their selection of products to see what you can find for your store! Starting your own ecommerce business is easiest with dropshipping and one of the top dropshipping suppliers on the market is Printful. They offer so many different kinds of dropshipping products such as t-shirts, sweaters, leggings, totes, socks, beach blankets, posters, mugs and so much more. Best of all, you can create your own designs and get them printed onto each item to create a unique apparel product, branded merch, or your own art! 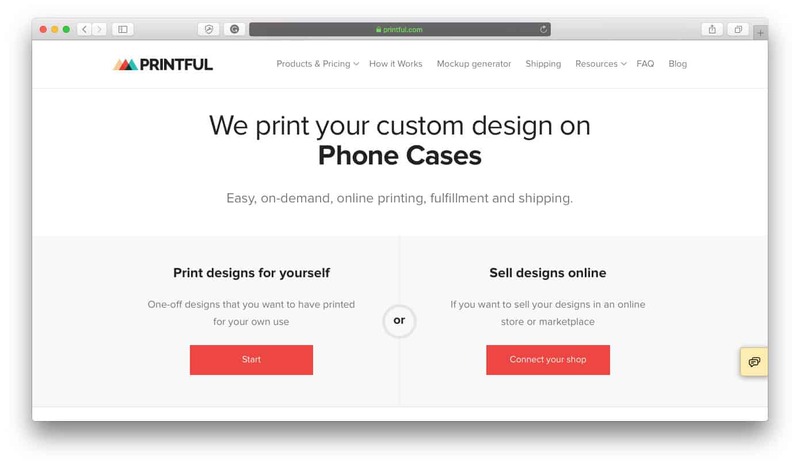 Printful is also a great supplier to work with because they don’t require any MOQs to be met, meaning that merchants can order products when their customers do so there’s no need to pre-pay for stock or purchase anything upfront. They’re one of the best dropshipping suppliers to get started with, so check out our Printful Review if you want to learn more about what they can do, or check out our How to Start a T-Shirt Business post to see how we used Printful to start a t-shirt business in 24 hours with $24 dollars. MXED is a unique supplier of dropshipping goods because they offer a service that very few dropshipping suppliers can offer. 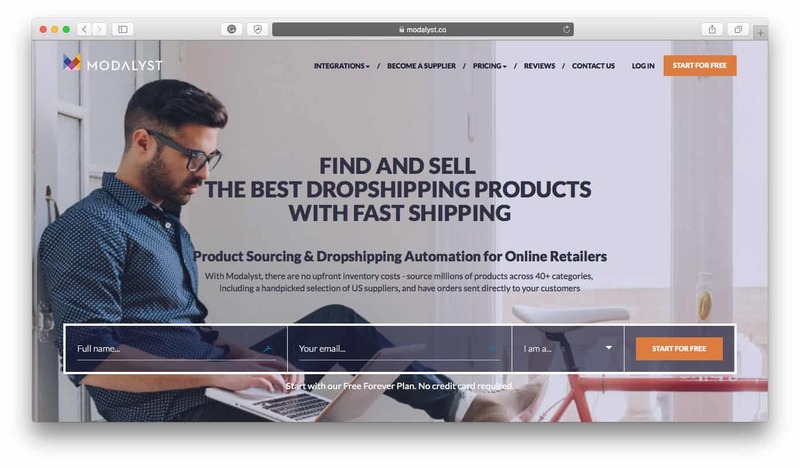 In fact, it’s likely that there are no other dropshipping suppliers out there that can provide the same kind of products that MXED can provide. MXED enables merchants to sell officially licensed pop-culture products directly from your Shopify store. What makes them unique is the products they sell: Products from well-known franchises like Marvel, Star Wars, Harry Potter, DC, Nintendo and more. Until MXED came along, it was virtually impossible to sell these products with the legal licensing requirements, and so it was very difficult for merchants to sell these types of products. If you’re interested in creating a dropshipping store selling popular pop-culture merchandise from these well-known franchises then MXED is your best option. Check out our MXED Review to learn more about what they offer ecommerce merchants. Find products to sell on your Shopify store with Oberlo. Oberlo is one of the most popular dropshipping product providers on the market, and they offer thousands of different kinds of products to Shopify store owners so they can get started in ecommerce without having to worry about acquiring or managing inventory. Oberlo’s network of suppliers pick, pack and ship your products for you so all you have to do is stock your Shopify store with Oberlo products and then start selling. When you sell with Oberlo, all you have to do is run your store and focus on growing it, letting the Oberlo suppliers handle the rest. Find dropshipping products from suppliers closer to home with Spocket. 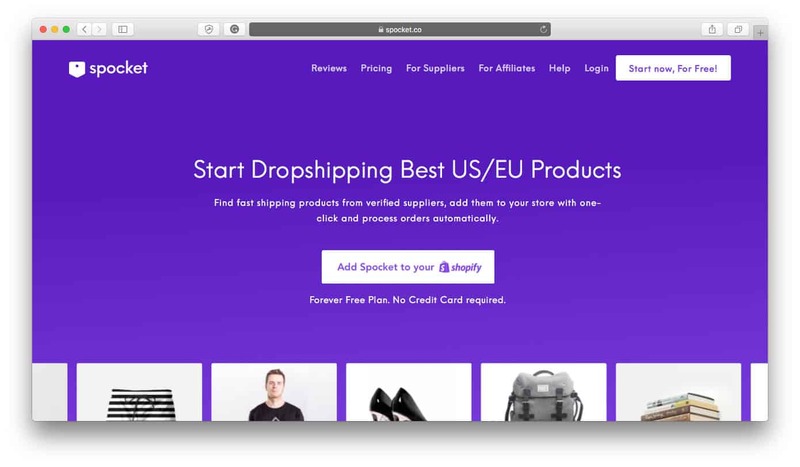 By creating a curated selection of dropshipping products to sell online, Spocket specializes in helping entrepreneurs find dropshipping products from suppliers in their area. 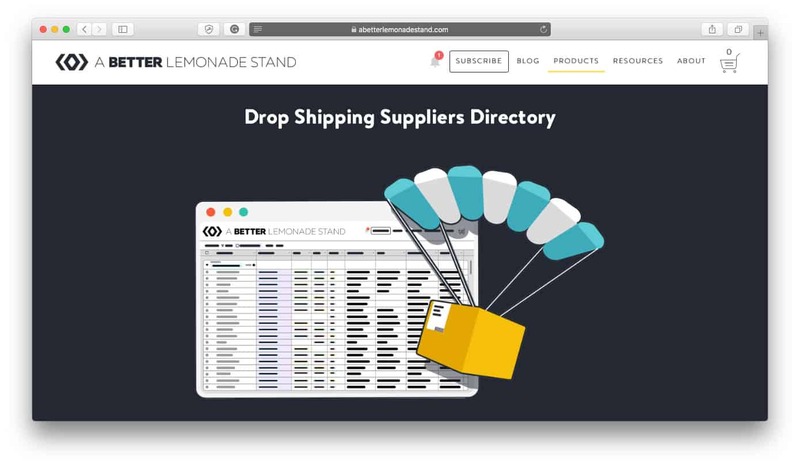 No matter what type of products you’re looking to sell, search through Spocket’s database of dropshipping products from local suppliers to discover what’s on the market. Spocket even integrates directly with Shopify stores so order management and supplier communication is easier and more seamless. Finding overseas suppliers can be a confusing and overwhelming process, especially if you don’t even know where to start. If this is how you’re feeling about finding a supplier from overseas, this is one of the best ecommerce resources for you! 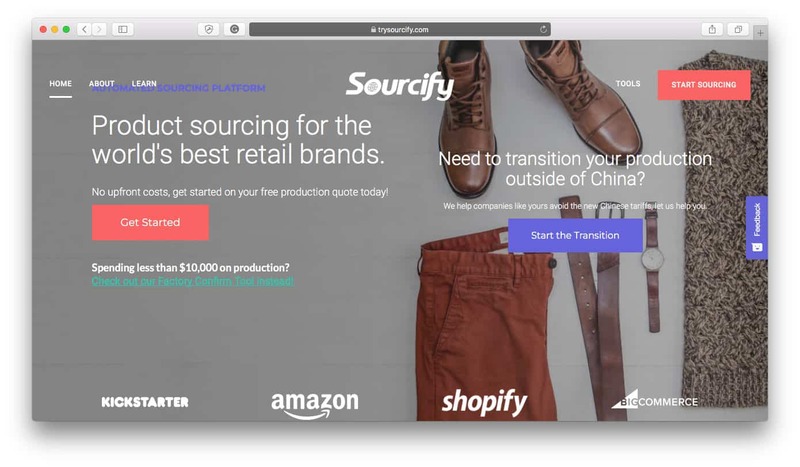 Sourcify specializes in finding the right overseas supplier for merchants who otherwise wouldn’t even know where to look. 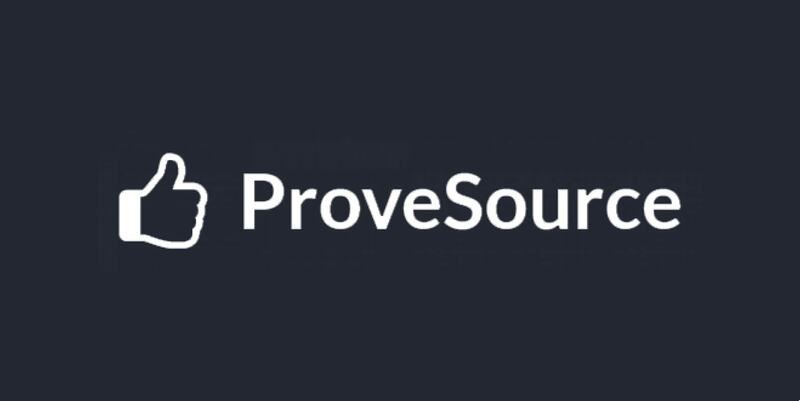 Whether you’re just starting your business and need to find the right supplier for your products or you’re already established and are looking to cut down your costs, Sourcify has an impressive network of suppliers to source from and they know their stuff when it comes to overseas product sourcing. Don’t spend your time searching for suppliers through pages of Google search results — use an online supplier directory! Our directories have been curated supplier by supplier to ensure that they’re high-quality, comprehensive and helpful for ecommerce merchants looking to find the perfect supplier to bring their product ideas to life. Each of our directories specializes on a specific kind of manufacturer, whether it’s dropshippers, manufacturers, clothing manufacturers, wholesale suppliers, etc. so you can narrow down your search for a supplier based on the business model that suits your brand. There you have our roundup of the best ecommerce resources on the market for ecommerce merchants today. Whether you’re building, launching or growing your online business, these ecommerce resources can help you build a better business no matter which stage you’re at. No problem. Thanks for checking it out! No problem. Thanks for checkin it out! Hey fantastic!! The list is indeed good and I heartily want to say thank you for sharing a wonderful list. 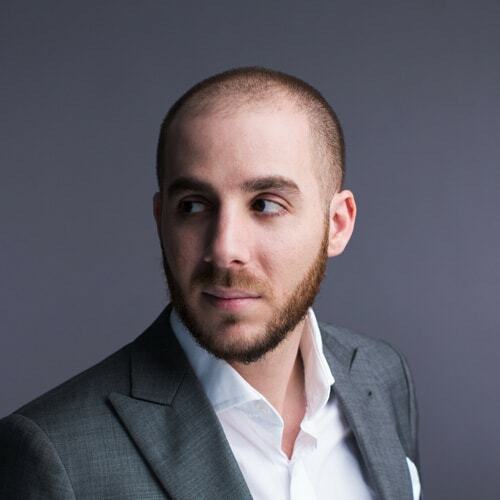 Hey Richard, Have you used LeadPages with Shopify? I’m looking for an easy landing page tool to integrate with my store. It is such a great post. All in one learning pack for web development. This is an awesome resource! I would like to suggest http://mommywantsthat.com as another site with a similar idea as Uncrate and Outblush for women’s products. Another great list by ABLS.I’d also add some competitor price tracking softwares like Prisync for the Spying Competitor bit of this article. Great listing. Got to know about the new ecommerce tools and resources from your blog thanks for sharing..
Fell in love with your blog! Thank you so much for the great work. I am working on an ecommerce website right now. Moving very slow. Would you please give some suggestions about how to set up the sales tax? Thanks again!! !